Pretty hard not to find this one if you've found KV3866! These towers certainly aren't as exciting as the disks (at least, they're not to me) but I thought I might as well log this anyway. 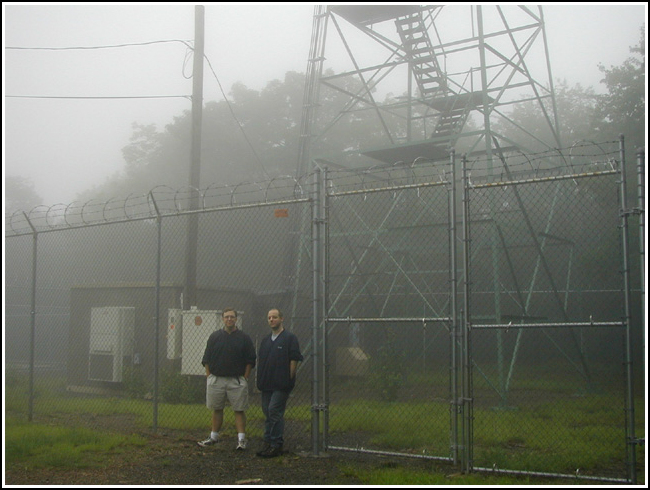 I originally visited in June with Mike and Aaron after finding the 'In Memorium' geocache. I came back in October with Rich for a day of mountain biking and we decided to ride up to the tower. I'm using the June date for my log because the photos were taken then. Recovered in good condition as described. 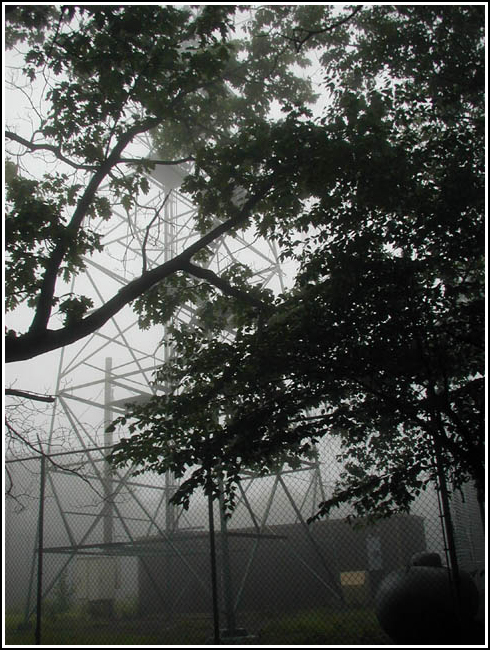 The tower is located on PA State Game Lands No. 141. Aaron and Mike at the tower.